Bórbala (Barbara) Both was mother’s mother’s mother. She grew up in the little town of Csik Karcfalva in the Hargita mountains of Transylvania. According to Wikipedia it is still a small town. In 2011 it had a population of 2,688, of which (99.67%) are Székely Hungarians. When she was a teenager, engaged to a young man from a well to do family, her brother brought home a fellow soldier. That handsome soldier Tivador Nagy stole her heart away and they were married when she was 17. 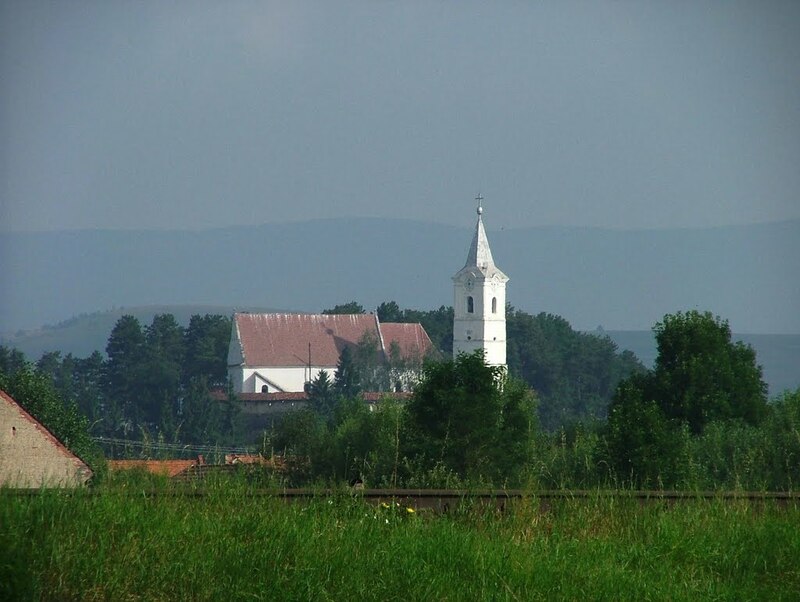 She moved 100 km away to her husband’s hometown of Szekelykerestur. We knew that Bórbala’s father was named Gergely (Gregory) but had no more details. Then this week I received digital copies of the Csik Karcfalva parish registers and was able to track down some of the family records. Gregory was born on September 9, 1838 to Gergely Sr. and Anna Farkas. 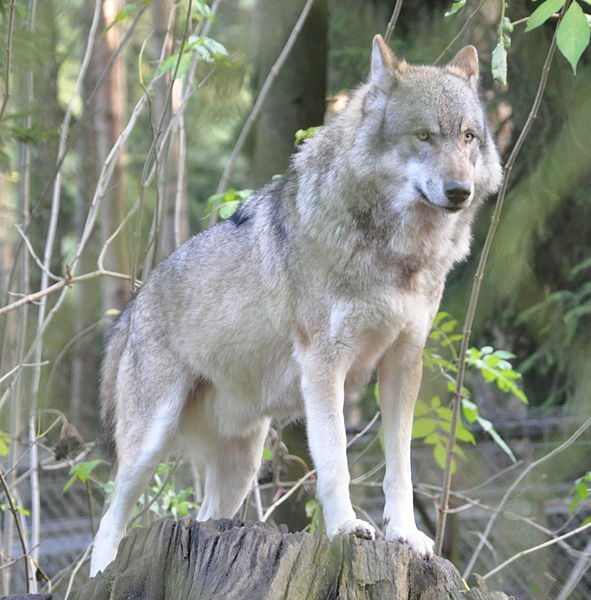 Her surname is Hungarian for wolf, an appropriate name for Transylvania, the last stronghold for wolves in Europe. Farkas is the 10th most popular Hungarian surname but the first instance of the name in our family tree. It is the only name in the top 100 that is the name of an animal. It is always exciting to add another generation to the family tree. 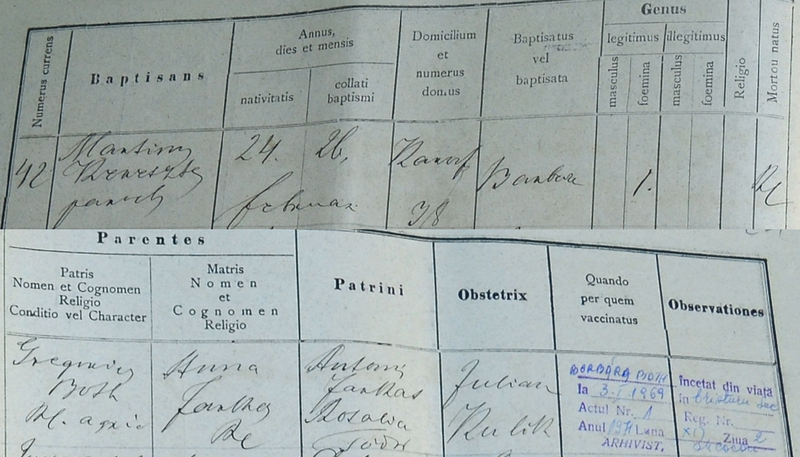 There are lots more images of the parish records and I hope to grow those branches a little further. Happy Birthday to Gergely Both and to his 3rd great-granddaughter who shares the same birthday! This entry was posted in 1800s, Csíkkarcfalva, Erdély/Székelyfőld, Genealogy, Orbán, Székelykeresztúr and tagged Both, Farkas, Hungarian Genealogy, Hungarian Names, top10, Transylvania, Wolf by edesorban. Bookmark the permalink. I came across your amazing family tree and I just wanted to say hello from New York City. My grandmother’s father was Both Ágoston, brother of Borbala. It is was a great surprise to see a photo of her, she looks so much like my grandmother, Both Anna. If you travel to New York, please let me know, it would be great to meet you! I was delighted to get your message. I would love to know more about your family.